Just what the hell does EDP, EDT, and EDC stand for? It’s not enough to just know what smell you want when it comes to choosing your scent. Nobody wants to waste hard-earned money on something not worth it, right? So, before you splurge on that expensive bottle, you must be aware of what you’re paying for—notes, and all. There’s a chance you’ve already encountered the terms top note, middle note, and base note during your scent-searching session. Or perhaps, you even saw the abbreviations EDP, EDT, and EDC as you browse those stalls. These expressions are all part of Scent 101, and if you want to make the most out of your money (or just want to impress the girl), you should at least know these basic terms. The difference between Perfume, Eau de Parfum (EDP), Eau de Toilette (EDT), and Eau de Cologne (EDC) is the concentration of fragrance oil—aka strength of the fragrance—added, in that order. Sometimes called extrait de parfum, this has strongest fragrance with 15 to 25 per cent concentration, making it the most expensive of the four. Most perfumes have the ability to stay longer hours—eight to be exact. EDP's contain 8 to 15 per cent concentration, meaning they are less expensive than their more potent kin, and last only up to 5 hours when worn. Most designer perfumes are released in both EDT and EDP concentrations, with the latter fairly more noticeable. Perfect for everyday use, EDT's have 4 to 10 per cent concentration and tend to smell subtler—great for office or school settings. They last for about 3 to 4 hours. If you want something light and fresh, EDC—simply known as cologne—is your best bet. EDCs contain only 2 to 3 per cent concentration and a less-than-3-hours lifespan, therefore being the least expensive. Fragrance notes are descriptors of the scents that are smelled the moment you spray a perfume, EDP, EDT, or EDC. Separated into three classes—top (or head) notes, middle (or heart) notes, and base notes—it indicates the scents which can be smelled with respect to the time after the application. Without the combination of its different levels, a fragrance won't be aromatically appealing. The group of scents you smell right after applying perfume, EDP, EDT, or EDC to the skin, like an introduction to the fragrance and is often the brand's selling point. Meant to evaporate within 5 to 30 minutes, they're usually made up of lighter fragrance oils—citrus, herbals, and florals. Also known as the heart of the fragrance, these make up the body of the blend—which is around half of the oil in the bottle. Middle notes are mostly already evident the moment you spray on a scent, but usually takes 10 to 30 minutes to take full effect develop on the skin. They are the notes that classify the fragrance family (aka floral, oriental, etc), with lemongrass, geranium, and jasmine the common ingredients. These last the longest, and are also important as preservatives, which help slow down the evaporation rate of the lighter notes, and give the fragrance holding power. The job of the base notes is to provide the lasting impression. Usual base notes include oakmoss, patchouli, woods, musk, and vanilla. 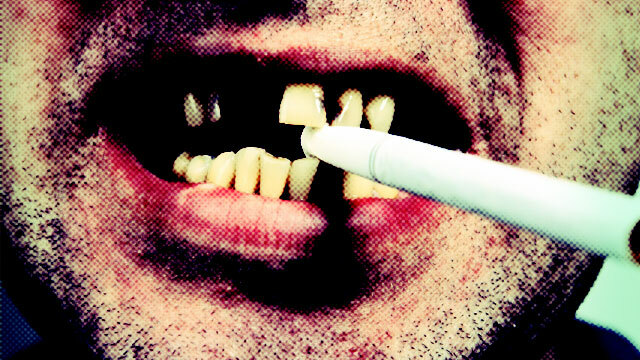 How Does Smoking Damage Teeth?